Each Quarter we, as teachers, are required to review the Code of Conduct with our students and have them sign off that they know and understand it. Each of the past 3 years I have found this exercise to become more and more comical, since we are given a pre-made PowerPoint presentation to go over. I do my due diligence and review it, and I answer all student questions about it. But this year I am simply more aware of things. I focused on one slide in the presentation that had a good line in it: "as students you have rights and responsibilities". Before I clicked on the next slide, I pointed that line out to my class and asked them to keep track of how many "rights" I was about to cover. Of course, I covered none of them. In fact, not one of them ever came up in the presentation. It took a few students and some internet searching before finding out what their rights actually were (page 3 - 5). We had a brief discussion of why this isn't discussed more frequently, then went on to graph linear functions for the day. Today a student brought up a situation she was having in another class, and she felt there was an injustice. The details of her claim are irrelevant, but if they are true she most certainly has a right to be upset. I asked her to pick a fight, using good manners and proper personal confrontation skills (I feel _____ when you ______). She refused, afraid of how she would be viewed by the teacher, afraid of any negative repercussions. I asked her what she could possibly imagine could happen as a result, and she couldn't think of anything. Yet, she was still afraid. I asked her what the last thing she bought was. A $5 Starbucks mocha-frappa-something-or-another. I asked what would she do if she took a sip of that drink and was so overwhelmed my cinnamon that she could drink no more. Of course, she would return it, ask for another, or ask for her money back. I asked "all that for a $5 drink?" She asked what would happen if this teacher ignored her or laughed at her. I asked what she would ask the young barista if she was ignored. She said "I'd ask to speak to her manager." I asked "all that for a $5 drink?" She started to get my point. Our students have been so drilled by responsibilities, they forget their rights. We, as teachers, are told so many times to remind them of their responsibilities, we sometimes forget they have rights. They have a right to be treated fairly, a right to know how they will be measured, and a right to learn. We, as teachers, are very preoccupied in fighting for our rights (as well we should), but every now and then (and hopefully more frequently), we should think about our students' rights. We should ask students to challenge us, to question us, to debate us on how we treat them and work with them. I offer that every year to my students. I ask them to fight me if they feel I'm mistreating them. I ask them to challenge me on how I grade them. I begged a student 2 weeks ago to bring a test he took to his guidance counselor and claim my grade was unfair (he knows I caught him cheating, but that's not the point). This will force us to re-evaluate some of the things we do, but that is okay. It will make us better craftspeople. If we offer this challenge to our students, that they fight us, they will see something we have known for our entire careers: it's not us. We fervently fight for our rights, let's help our students fight for theirs. We're in it together. Have you ever argued or debated with someone on an issue about which you were extremely passionate? Have you felt the frustration as if your message was simply not getting across? Have you felt that no matter what you knew was right, that nothing would change? I know I'm right about everything, because there could be no other reason for me to have these debates and arguments. All my learning on these issues is done, and I still feel like we are going in the wrong direction. So, I decided to do something a little differently. I embarked on a mental exercise, and it's something we use in Geometry. I attempted an Indirect Proof, or a Proof by Contradiction. I wanted to take an issue, and make the assumption that those with whom I argued were actually correct. That way, I can finely comb through their thought process and pinpoint the exact places they were wrong. I had to begin my assumption with accepting that everything I thought was right was actually wrong. So, I did that. I'm still doing that. But I'm encouraging everyone to do the same. Let's assume that Arne Duncan is the best visionary Secretary of Education we have ever had, that Jeb Bush is correct about statewide policies, and Bill Gates is correct about efficiency, and Michelle Rhee was spot-on about teacher accountability, and Eli Broad is correct about leadership. I must stop myself from accepting that these are evil people, as that would make me equally evil. At the same time, let's imagine that I have been wrong, Diane Ravitch has been wrong, Peter Greene has been wrong, Mercedes Schneider has been wrong (although her research abilities are nuts), and Lily Eskelsen Garcia is wrong. Just use an Indirect Proof for a second. So, try that out. Imagine, for a second, that hyper-accountability and data-mining and teacher-blame and childhood anxiety is right and good. See where that takes you. Let it blow your mind. It has blown my mind (which is why I have not written in awhile), and I think it will be the beginning of my next big idea. I have a different way of grading tests in my class. Although I have a schedule to keep, and a Scope and Sequence to cover for the year, I allow students to take their tests when they are ready. Yes, it's a lot to keep track of, and yes, I have to do paperwork for students who are....Late Learners I'll call them, but it's a system I've played around with for a year. Last week, a student finally finished a test he had started awhile back. He's been working on it periodically, pausing the test for a day or two so he could brush up on some concepts or get tutoring. Clearly, math is not his strong suit and I've known that from watching him work on problems in class. This week he finally finished his test and, though he knew he blanked on two of the problems, he wanted me to grade it for him right there. So, I did. Now aside from my testing process, I grade a bit differently as well, more in line with a philosophy in the book Ahead of the Curve. I could tell from his work that he wasn't a superstar with the material and where his learning gaps were, so his score turned out to be quite accurate: a 65%. Having seen his prior work I was actually okay with this grade. This is a student that has little interest in my class, a very active life outside of school, cares for people in need, and spends his efforts on community engagement for young people who have been cast aside from their homes for a variety of reasons. He is a funny guy, and a loyal friend. He's charismatic and I've never seen or heard of anyone behaving negatively toward him. I also know that algebra isn't a high priority for him. When I showed him his grade he seemed a little down about it. But then I said something that gave him pause. I explained how much of an improvement he had made, and then followed it with "this grade is not who you are. You are not a grade on a test. You are not a grade in a class. You are much more than that." He said he had never heard anyone say that to him before and was very appreciative of the kind words ("inspirational" is what he said). He's a beautiful kid with much to offer the world, much like every other student I see, and I want him to know that his potential is limitless, not defined by whatever mark I put next to his name. I think I'm going to say that to more students. - 50% from administrative observations. For the average teacher, these observations constitute around 1/2 of 1% of our total instructional time with students. These observations are both formal and informal (whatever that measures), and can be conducted by multiple administrators within an at-best consistently subjective framework. When all of this is said and done, we get a score. The score is what determines whether or not we can be re-hired, whether or not we receive an increase in pay or the amount of pay increase, and how we are viewed by administrators and the school system. We allow ourselves to be defined by these scores (and how CAN'T we? This is our lives, our profession). The problem is: good or bad, those scores are not who we are. We LET them define us, because the system defines us by them. The students do the same thing: they define themselves by the scores we give them. But good or bad, the scores are NOT our students. We have to check ourselves to make sure we are not judging students the same way the system judges students, or the same way we are judged. They are just scores on mastery over a specific content area, not holistic interpretations of worth. Unfortunately, our accountability system DOES INDEED find scores to be holistic interpretations of worth. A student is only as good as their GPA or more accurately, their high-stakes test score. A teacher is only as good as their evaluation score. As professionals, we KNOW that these scores do not accurately reflect who we are as people or how well we perform as teachers, yet it is a constant struggle to ignore that. These scores do not take into effect how we can finally reach a student that can recognize an author's intent, or finally teach a student exactly what an intercept is on a linear function, or being there with a hug when a student's mother passed away. Those are not reflected in the scores, yet those moments are what defines us. Those are the moments we live for. Those moments are the reason why we do what we do. In moments of clarity and defiance, we think "evaluate that!" when we inspire a student. When a student shares with us their excitement over learning something new or getting a letter from Princiton or saying "thank you" for being there in a time of need, then they walk out of the classroom. In the quite of a temporarily empty room, we reflect on what just happened. And we wipe a tear away. That is who we are. Let's always remember who our students are. Let's fight to remind everyone else that wants to label them. We are not our grade. Our school Principal stirred the pot a bit when she announced a few weeks ago that the Benchmark Tests given to students in classes that were taking the state-issued high-stakes tests at the end of the year were to be counted toward student grades in classes. Forcing student grades for Benchmark Tests is not a good practice. This was in direct response to some students distributing flyers to other students asking them to boycott the Benchmark Tests. The activist students knew that the Benchmark Tests were useless and a waste of time. They knew that the statewide standardized assessments are invalid and unfair and the district's push to have Benchmark Tests for these assessments were equally invalid and a diversion of precious instructional time and resources. So, the Principal reacted by forcing teachers to count the Benchmark Tests for a class grade. Benchmark Tests are not designed for this purpose, as a summative evaluation of student knowledge. At best, they are formative indicators and predictors of student achievement on a future exam. In Florida and in my district, we are not operating "at best" in regards to statewide standardized assessment. "We need these scores to let us know where our students are." "We heard some students weren't going to take them seriously." "It doesn't matter what you feel about standardized testing, these tests give us a glimpse of what your student's know." "You should use benchmarks to adjust your instruction." "The best way to motivate students is to give them a grade for it." "I know the test is invalid"
"Use your professional judgement when entering the grade for this assignment"
"If you are counting it as a test score, please use a curve". This thought process is insulting to students, insulting to the entire process of learning, and one of the fundamental flaws of the current practice of learning in education. If the only way to motivate students to care is to give them a grade, there is MUCH more wrong with everything than I originally thought. It's quite disrespectful to think of students in this manner, that the only way to motivate them is to grade them. We should be teaching students for the sake of learning and knowledge and mastery, not for grades. And when we incentivize something with a simple grade, we have taken ALL value of that thing away. In Dan Pink's Drive, motivation is boiled down to 3 simplistic factors (and I tend to agree, having seen it in practice): Autonomy, Mastery, and Purpose. A major component to building motivation is to establish Purpose in what people are doing. If people do not see or understand or agree with the purpose of a thing, they will not be motivated for that thing, no matter what other incentive is there. So the belief is that we can offer an activity to students, one they feel or perceive is completely useless, fail to convey the purpose (because in the case of Benchmark Testing there is CLEARLY no purpose), and then threaten them with a grade for them to "take it seriously." We have degraded students to trick ponies to do as we say for a treat. We can convince them to do their best because...grades. We can dangle this golden prize over their head if they just give it the ol' college try. And this works? Maybe for some, the nerds like me. But not for all, not even for most. To think that's what will do the trick is incorrect, arrogant, power-hungry, and condescending. And that's our view of students? Here puppy, take this useless and meaningless and time-wasting test. Do your best because it's for a grade. Good doggie. This thought process is insulting to us as teachers. The belief is that we need these Benchmark Test results to show us where our students struggle and to allow us to inform our instruction based off those strengths. The reality is that if we need the results of these Benchmark Tests to know what our students know, then we are in the wrong field. Our day to day interactions and assessments paint a much better picture of what the students know than a Benchmark Test created by the district in a vague attempt at a "best guess" of what the state standardized assessment will look like (crap shoot), regardless of what has happened so far in the classroom (including time out for pep rallies, plays, fire drills, testing for other tests, and the prep tests for the testing of those other tests). These Benchmark Test scores will supposedly tell us how well the students are likely to perform on the particular statewide test for which they are Benchmark Testing. News Flash: they're going to bomb it! We don't need benchmarks when Florida already paid Utah to get a good glimpse of how abysmal student scores on these tests will be! What other pieces of evidence do we need that the test itself is flawed, the design of the test is flawed, the design of the questions is flawed, the grading philosophy of Item Response Theory is flawed, and the entire endeavor is wrong and unfair? So, OF COURSE, the benchmark scores will be low. We KNOW that, we KNEW that before the Benchmark Tests were given, and we will ALWAYS know that for every Benchmark Test in this system. What's funnier/sadder is that we don't even know how the scale will slide for the actual statewide test. Just this week, our state announced that it is looking to set the passing score on the statewide assessments. How does this affect Benchmark Testing? A student could BOMB these benchmarks, have the same exact performance on the test, and still PASS the test because the sliding scale hasn't yet been established. And how could this happen? Because the test is flawed. But our schools HAVE to do something about these low Benchmark scores! Our principals HAVE to address their faculties to "fix" the problem. Our "data driven" obsession must be fed so we can continue putting fear into the hearts of our teachers until they whip their students into proper shape before this statewide assessment. Let the beatings continue until morale improves. Now, let's imagine for a second that the statewide standardized assessment was NOT flawed. Let's imagine that it was a fair and valid test. There would be NO NEED FOR BENCHMARKS because the in-class assessments from the teachers would be the benchmarks and predictors of student performance (whatever that would indicate). The teachers would know well in advance the nature of the assessment, the weight assigned to the different types of questions (instead of the very unfair Item Response Theory), and the actual scope of the testing items in respect to the standards to be taught. The teachers would be able to design in-class formative or even summative assessments throughout the year to either prepare students for what was coming or to accurately measure student growth and learning based on those standards, thus making the class grade a more reliable and valid statistic (hooray data!). Even in an ideal situation, these district-made Benchmark Tests would be useless. Back to reality, though. We should understand and invest in the fact that the teacher knows every day where the students are. At the high school level, the teachers have to do their best to adjust instruction for a 45 minute class period with 25 students in that period. And guess what? That's 25 different levels of understanding! In one class period! Now, wait a minute...you mean, not every one of my 150 students is at the same exact strength of each different topic that I am currently covering or have previously covered in my class? Stop the presses! And wait, what? I need a district-made Benchmark Test (which remember, is a crap shoot) to tell me that? If this is the belief that is out there, and the reality under which we are operating, and what we have chosen to accept, we as teachers may have picked the wrong profession. If we, as teachers, can't determine what a student knows unless we give them a Benchmark Test, we should be looking for another career. How insulting to teachers is it to tell us we need these Benchmark Tests to know where are students are! If a teacher needs a Benchmark Test for that purpose, I say we FIRE that teacher. End of story. And we close the meeting with double-speak. When opening with our need for Benchmark Testing (because we have no other way to assess our students), our Principal (and remember, I honestly love and appreciate her) insults us by bestowing a newly found "professional judgement" when it comes to GRADING our students on these Benchmark Tests. If you think or believe we have professional judgement, then please do not tell us to enter these invalid things for a grade. And by the way, she clearly stated her accurate belief that this testing system is, indeed, invalid. And this is the only explanation behind her suggestion that if teachers are scoring the Benchmark Test as a class test they put a curve on it. I'm having difficulty fathoming the hypocrisy of her entire message. I know she is better than this. This just indicates the pressure that administrators are under as well. But I will not allow that pressure to hit me. I hate that it has hit my colleagues. I wish our administrators will simply level with us, tell us the truth, let us hear their mutual frustration. I wish our administrators would do something absolutely unheard of, and ASK US what we can do. How can we work together to fight this injustice? What can we do together to alleviate the pressure of bad policy? Unfortunately, our leadership model is top-down, do-as-I-say, and power hungry. This model is taught, it is preached, it is rewarded. I dream of a day when we have good leadership. So, what do we do? Well, I have to ask myself "if I had Benchmark Tests for my classes (which I don't), what would I do?" If I had a district Benchmark Test for my class, I would refuse every single instruction given to me to grade the assignment. I would not enter the assignment in the online grade book. If I was confronted, I would suggest the administrators enter it into my grade book as an assignment (because they have the access to do so). Once entered as an assignment, I would not assign a grade for the assignment. If I were confronted, I would suggest the administrators assign the grade. I would suggest the administrators grade the assignment itself. And in the end, if all that were done, I would simply exclude that grade from the student's class grade. Because I have the ability to do so. I wish there more I could do to stand up to this. But this is as far as I can think to do. I am thinking to empower my colleagues to find their voice. We are Greater When Heard. The word "accountability" has been tied in with high-stakes standardized testing in the age of education reform. I have previously claimed that it is a word that was intentionally injected into the education reform vernacular in order to support the overuse of high stakes testing. Over time, I have seen another use for the word and I just finally put my finger on it last night at that school board meeting as I was listening to our school board chair defend his position on accountability. He said a phrase that is repeated by the education reform establishment: "I believe in accountability." The statement "I believe in accountability" has been used to defend the use of high stakes tests. Well I saw last night that it also used to demonize teachers and the new movement that is against high stakes testing. As a teacher, I'm pretty damn sure that I believe in accountability as well. I just never had to say "I believe in accountability" to defend my grading policies. I never said "I believe in accountability" to take attendance. I never said "I believe in accountability" when I have to write a student a pass to the office or correct inappropriate behavior. As a teacher, I LIVE the statement "I believe in accountability." With the way I am evaluated, I live in accountability. So, this phrase is used to defend high stakes testing. The phrase was used to invent an entire high stakes testing industry because schools were "failing". Instead of investing in the schools and classrooms, we used "accountability" to shift the focus of "success" OUT of the classroom and onto a test. I think we need to start using that phrase to REMOVE high stakes testing. We don't need statewide standardized assessments to make promotion/retention/graduation/hiring/firing decisions. And why? Because "we believe in accountability". We believe in authentic accountability of behavior, performance, and mastery. If we invest in a fair, equitable, reliable, and valid accountability system (which high stakes testing is most certainly NOT on any level), we would have no need for this bizarre overuse and overreach of high stakes testing. If we invest in an authentic, productive, peer-involved, collaborative, improvement-driven (not punishment driven) teacher evaluation system, including teacher education and training, we would not need VAM scores or spot evaluations (which account for less than 1% of teaching time). We need to invest in this system in the name of accountability. For our students, we already have the perfect accountability mechanism in place: GPA. We just need to INVEST in that mechanism. We need to invest in training teachers about valid and authentic measures of student learning, growth, and mastery. We need to invest in the teachers' ability to differentiate their learning opportunities for students to be able to more accurately assess students in a variety of ways. We need to invest in a school's ability to vet teacher assessment systems to ensure that valid measurement of learning, growth, and mastery is taking place. We need to use standardized testing for its intended purpose: to take a snapshot of where we are, and investigate the variables that led to our placement. We cannot use standardized testing to come to conclusions. We need to invest in this system of assessment in the name of accountability. No parent, teacher, or union wants to eliminate accountability. All stakeholders in education believe in accountability. However, the education reform movement has hijacked that word to demonize authentic measurement and assessment in the place of high stakes testing. The reform movement has undermined the meaning and use of the GPA and the authentic assessment of learning, growth, and mastery that can only be accurately measured in one setting: the classroom. It's time we invest in our teachers, invest in our classrooms, and invest in our students. And why? Because "I believe in accountability." Sometimes, things get very confusing. What is truth? How do we know who is right and who is wrong? What works, and what does not? Can everything be explained by science? Well, when it comes to education in Florida, it can't be any more polarizing. On the one hand, we have this argument from Patricia Levesque with the Foundation for Excellence in Education that not only is everything just fine in Florida, we need MORE of what we've been doing. Even Jeb Bush uses Florida as a model for the vision of education nation wide. The argument is that the teachers and unions have it all wrong. There is too much focus on "the adults" in education (whatever that means). Every solution to every issue in education is accountability, rigor, and turnover. On the other hand, we have parents, teachers, students, and social scientists saying that what has happened in Florida is not the right direction. There is too much emphasis on high stakes testing, not enough focus on true lifelong learning, play, or the enjoyment of education. There are multiple reports of increased illness and anxiety. Mental health counselors can track increases in business in the month of March due to incoming "testing season" (how can we even have that term?!!!??). Voucher support is just for the kids, right? The Orlando Sentinel published this article about the monetary involvement of voucher school support organizations in local School Board races. An interesting name popped up in article, one that I have seen before a few places: John Kirtley. When I first started paying attention to public education policy at the state level, I learned a little bit about the voucher program and how that would effect public school funding. I came across a couple great posts from Bob Sikes at Scathing Purple Musings. That guys does his homework! If you want to stay on top of what's happening in Florida education policy, keep an eye on his work. His first post that caught my attention was this one where he highlights what could be gained from a voucher program expansion in Florida from the 2014 legislative session. In this next one, he points out John Kirtley's involvement in the entire process. There has been other research on Mr. Kirtley's involvement in the voucher program as well, like this one from 2011. So with this latest election cycle over, and the changes that are coming in Tallahassee, we know what to expect. Will there be a push to expand to the voucher program again? Start calling, e-mailing, and meeting your legislators (new or old) NOW and ask where they stand on the voucher program and if they plan on an expansion. If school choice is the big issue, why not expand district magnet programs and invest the dollars at the local level and in the public schools? Follow the money. We are giving upwards of $300 million to only 2 scholarship funding organizations (SFO's) in Florida. It's for the kids, right? Right? This morning, a student I had never met contacted me to talk about standardized testing and education. I was looking forward to the opportunity. Two weeks ago, a former student of mine addressed the Orange County School Board during a Pre-Agenda meeting and knocked my socks off as she shared her views of education and the invalidity of the statewide standardized testing movement as well as the county benchmark testing system. During lunch today, this new student came in and almost had me in tears in the first 30 seconds of speaking. "Mr. Katz, I love school, I really do. You know how in the first week of school that if we feel we are being bullied that we should report that to the school? Well, what if we feel we are being bullied by the school?" She went on to share more of what she felt: "I am no longer being taught to learn, I feel like I am just there for the tests." She shared stories of workbook errors, of testing concerns, and of her anxiety for school for the first time in her life. I asked her what I ask all my students: is the school here to provide you with an education? Or are you here to provide the school with data? Do I have a duty to teach you? Or do you simply exist to validate my job performance? We talked about why more students don't demand an education and what has happened to schools due to education policies. We talked about how the indoctrination of "sit down and shut up" begins at the elementary school level. We talked about how asleep many students have been. Nothing changes until the students find their voices. This student is aware. She is passionate, she is articulate, and she has awaken. It is time for the movement to grow. Why Do Americans Love to Blame Teachers So Much? I have not read this book yet, it is on my list. But in regards to this author's discussion of the "moral panic" of bad teachers, I can only agree. I've seen and heard everything to which he refers. What's worse is that there is nothing happening at the policy level or school level to alleviate the situation. Teachers will continue to be demonized, the national conversation will continue to be skewed in the direction of teacher-blame, and educational "leaders" will continue to do minimal to nothing about it. There is no vested interest in changing the conversation from the "leaders" in education. The venture philanthropists behind numerous "successful" education programs from charter schools to superintendent training academies have too much to gain by perpetuating the moral panic. The venture philanthropists are the same individuals with potential monetary gains from the corporate aspect of education "reform". It's no secret. Simply follow the money. So, as I see and hear teachers in my own district and school begin to voice their concerns of working conditions, over testing, ridiculous unchallenged mandates, and automated curriculum delivery services instead of authentic education through relationship building, I also see that nothing will be done about it. Education "leaders" will feign interest in the stories and experiences of teachers, pretend they care, claim they offer their support, and then politely wait for Teach For America to come in, save the dollars, and save the day. So, the election season for 2014 is over. Candidates were elected, incumbents were unseated, amendments were passed or defeated, and as usual, relatively few people showed up to vote. Running for School Board allowed me to internalize this lesson I began to see in Tallahassee. We have democracy all wrong. We are seeing it the wrong way. Quick story: a student asked me two weeks ago why I wasn't running the show for all of education. I simply replied "because I believe in Democracy. In a democracy, who has all the power?" She said "the people." I chuckled. Oh the disconnect of textbook and reality. I didn't ask who SHOULD have all the power. If I did, then she would be right. Back to today: the 2014 election season ends. And today is flooded with the moans, the cheers, the "depression", and the relocation plans from many people. And that's exactly where we have it all wrong. Democracy doesn't take place on the 2 voting days every two years (don't forget the primaries, folks. They determine everything local). Democracy doesn't take place when you cast your vote. You don't even HAVE to vote to be a part of democracy. My experience with the Florida PTA taught me that democracy doesn't take place in Tallahassee (or Washington, DC). Democracy takes place EVERY day. Democracy takes place at HOME. If the people have the power (like my naive young student is taught, and only 40% of us realize), we need to start exercising our power. We need to meet, face to face, with the officials we elected. And I don't care if you voted for them or not, WE elected them. If we have an issue we are passionate about, we must constantly pursue the people that WORK FOR US, and educate them in the same way we were educated about our issue. We must make sure that they know who WE are, that they will recognize us on the street, that they will stop and say "hi Josh, how have you been?" We educate them. We remind them why they are there, and who they truly work for. And yes, we still have to go to Tallahassee, and wait in between jails and bridges to talk about education, and wait to be one of the over 100 people to wave in support (or against) whatever is being discussed. We have to play the game. But this time when we play, the legislators know us. They remember us. And they feel our presence. Own it, people! WE elected them! Now, put Democracy in action and make them work for you! This was a great article in The Atlantic, "The Coming Revolution in Public Education"
This article has great documented evidence of many of the issues facing public education coming from the policy side. Since speaking up, I have often felt like a crack-pot conspiracy theorist. But there is evidence about what has happened in education and the current trajectory that points to corporate takeover. However, I do not feel there is a revolution coming. I feel that what is happening is a small awareness by a few pockets of individuals. Nothing will change in the current trends of education reform. Elections will still run the way they have historically run, voters will still be as educated as they have historically been, and education policy makers will maintain their leadership styles of Disruption, Superiority, and Fear. The trend that must adjust in order for true change to take place is the students. The students must wake up and understand what role they play in the larger picture. They must wake up and demand an education that prepares them for a global economy. They must wake up and realize that they are NOT in school to serve as data for teachers but that the schools are there to give them an education. Nothing will change until the students find their voice. This article, A School That Ditches All the Rules, But Not the Rigor, captures a great issue we face in education: the love of learning. We are all born learners. We are all born to love learning. But something happens, something about school, that begins to take away that love. I'm seeing it in my two children. It's not that they are no longer enjoying school, it's that I see what they are going through that will explain why so many students no longer enjoy school. I used to look at my high school students and wonder: "why don't you just...do what we ask you to do? It's not that hard! Just...DO it!". I wondered what happened to them. And I used to allow that wonder to make me judgmental. But seeing what happens, and how early it begins, I no longer judge. We take away choice, relevance, and intrinsic value from day one of school. I get it now. Unfortunately, our education system is unlikely to come close to even the possibility of embracing a model like this. But as teachers, we can take away something and try to have a bit of it in our classes. 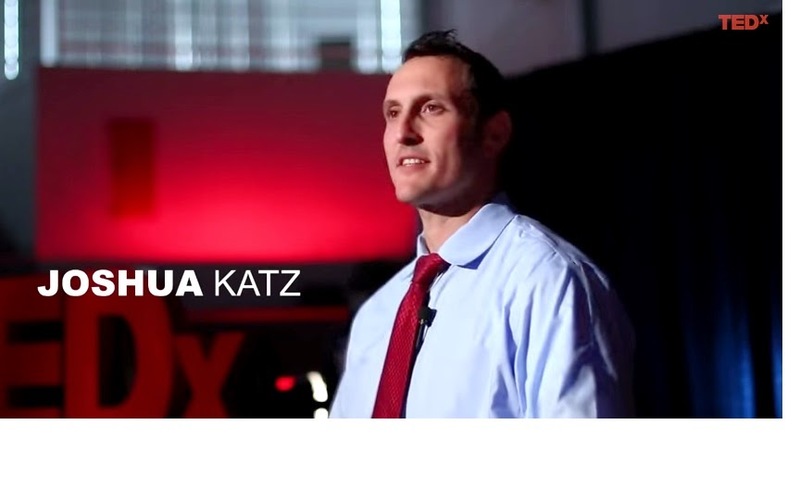 I had the honor of speaking at the TEDxUniversityofAkron event in April of 2014. This opportunity began a journey I am still enjoying. I want to continue sharing my thoughts and what I'm reading about Education. Although I am a parent and a classroom teacher, I fight for students everywhere. Albert Einstein - "Everybody is a genius. But if you judge a fish by its ability to climb a tree, it will live its whole life believing that it is stupid." So, there I was, working with a student, Natalie, on solving equations. She had to multiply 2 times 9 and was stuck. No joke, my students get stuck on that. So, I decided to go for the teaching moment. 2 times 9. All she had to do was count by 2, 9 times, that was it. She tried and failed three times, on paper and on fingers, in both English and Spanish, her native tongue. THREE TIMES Natalie is 16. In 9th grade. And she is NOT ALONE. NOT BY A LONG SHOT. I teach at a high school with a student population of over 2,800. It is only one of over 30,000 high schools in the United States. You have to somehow begin to wrap your head around the enormity of the number of Natalies in our schools, in our country, in our future. I’ve seen the best of the school system. I can honestly say that our best students can compete with the best students from around the world. In fact, when looking at the data from PISA results that compares our students to other countries we rank in the 20’s, BUT…if we disaggregate it by district poverty level, and look at the US districts that have comparable poverty rates to the other countries, it is clear that our students are at or near the top in the comparisons. But our best are only a small percentage of our overall population, even in the honors classes. But what about the Natalies? I have specializedin teaching Algebra to the bottom 25% of high school students, and I work mostly with THOSE students. The best of THOSE want to do well, but when they finally realize how capable they are, they find themselves either stuck in a path of academic mediocrity or they are so close to graduation that all they need is their credit to pass. It’s a scene of wasted potential. The worst of THOSE have had no education of character, common decency, appropriate language and behavior, or right from wrong. By high school, they are so ingrained in their behaviors of laziness, disruption, disrespect, and defiance that any measure of guidance is completely lost on them. These are the students on the path of dropping out, of incarceration, and abusing social welfare. Parents will talk their children into purposefully failing tests so they can qualify for social security benefits, up to $800 per month per child. And these families find other sources of non taxed income, in the way of pharmaceutical sales. There is a LOT of abuse of social welfare, and the parents know how to milk the system for all it’s worth. This abuse is happening when people TRULY in need can’t get the help. What’s out there waiting for THOSE students? Jobs? College? They are in an educational system that says “if you don’t go to college, you have no worth” so their alternative is to be underemployed, find illegal work, or abuse social security. THOSE students are marginalized by what I call our “Toxic Culture of Education”. It doesn’t matter if a student is a gifted artist, a loving caretaker, a poetic writer, or a talented musician. THOSE students are the fish being measured on how they climb trees. We say the end all be all is college, or we leave students to the lowest skill level work (which is more and more being occupied by college educated people). Even with the honors students, they are, in general, too worried about grades and results, and not interested in true learning, which affects their performance in college. I don't want to talk about the college student loan debt crisis. But you have to believe me, I am not placing blame on them, yes they can take credit for who they are, but this is about something much larger than them. Our Toxic Culture began with a classic Super Villain Archetype. Recall any Super Villain, I focus on Syndrome from the Incredibles. The villain’s plan is to unleash a doom onto the world, and the villain is the only one that can stop it. Thus gaining all the desired power. This is exactly what began in the 1980’s and before and culminated in No Child Left Behind. Private companies realized they can utilize the education system (at the time a 600 billion dollar industry) to create a nearly endless stream of taxpayer funds. They channeled millions of dollars into lobbying efforts in order to create 2 buzzwords that put everything in its place: “Accountability” and “Rigor”. State statutes were passes, district rules were put into place, and No Child Left Behind was finally passed. But don’t get me wrong about politics, these efforts were underway long before they were passed, and both parties can take full credit for their disastrous results. They decided take the education system that produced the individuals that put a man on the moon with technology less powerful than the phone in my pocket, and paint a picture of “failure” using the word “accountability”. You see, we only have one way to address accountability: Standardized Testing. So, we implement standardized testing, and it shows that schools are failing, teachers are failing, and students are failing. And when everything is failing, guess what we need? We need new textbooks, we need new resources, we need new training, we need charter schools, we need private schools. And who creates all these things we need? Private businesses. The only way to feed the business model in our Toxic Culture is to perpetuate the picture of failure. In fact, I’d LOVE to see any education company that has a business model that is built upon success. There is no money in student success. How can we possibly believe standardized testing accurately measures student achievement? How can it measure student growth? How can it measure that "ah ha" moment when a student’s light is finally lit? That moment when a student says “thank you” for helping him graduate with a 2.0 GPA? That moment when a student athlete works hard in study hall and finally gets a C in her class because her coach helped? How can we attach a number to that moment when a 5th grader finally has the ability to write his own name (who is labeled a failure for himself, his teacher, AND his school)? But we crave education standardization, we believe we need high stakes testing, and we eat up misinformation provided by companies usinh the false validity of the results. Our testing culture begins in elementary school. Colleagues of mine deal with third graders who are suffering from anxiety for standardized testing. From a one-day, 4 hour, computer-based test, the future path of the student is set, the academic identity is established, and the message is delivered loud and clear: either you CAN make it, or you CAN’T make it. No matter what the teacher tells them about how good they are or what talents they have, if they don’t score well on that test, they know what it means. They define themselves. In the 3rd grade. It’s starting to happen in kindergarten. So these students continue testing, continue failing, and the districts continue new initiatives that can solve the problem. Who makes these products? Who has these solutions? Our super villain. Companies like Pearson and McGraw Hill who operate on legislation and policy written by private lobbying groups like ALEC. Buy the next textbook, the next workbook, the next software package. I’ve been through 4 Algebra textbooks in 7 years. And that’s where the schools and districts are spending all the money. And we stick to the standardized test (guess who makes those?). We illogically attempt to compare education to business, we ignore the impact of poverty and hunger, we pay no attention the non cognitive factors that are realistic predictors and measures of student success, and that way, we can place the blame on the teachers and schools. And because we have a Toxic Culture of Education, policies, teachers, and schools have accepted accountability for students, including all THOSE students. We take the blame for a student that has no moral compass. We take the blame for a student that cannot focus because he hasn’t eaten since yesterday’s lunch. We take the blame for a student that cannot stay awake in class because she spends her nights on a different couch, depending on which friend takes her in. When those students don’t “score well”, we get blamed. (the following part had technical difficulties in the talk and had to be edited out) And we take it. We accept it. Because we love the kids. We are the only ones protecting them from this Toxic Culture of Education. And what do we do as a system? Our only interest in education “reform” is to create policies that include additional standardized testing, to place higher stresses on teachers and students, and continue the picture of failure so private companies can sell the answer. And all this ignores highly publicized and easily available data on effective policy-making and effective practices. And it’s about to get worse. The Common Core will do more damage its high-stakes test (not to mention its myopic standards masked in a guise of “critical thinking” which is just developmentally inappropriate “rote”. I see my daughter's work in 1st grade. They ain't fooling me). Any education reform that does not address high stakes testing and the non cognitive factors of true student achievement, like character and personal habits, is a waste of time and it kills our kids. Our main focus is on the schools, on the teachers, on the curriculum. We need to start paying attention to our students. If a student fails algebra 1 in the 9th grade year, chances are it is not because they do not understand the material. Chances are it’s not because the teacher isn’t teaching. Chances are it’s not because of the school. Chances are it is because the student lacks some type of intangible characteristic (a “Non Cognitive Behavior”) that enables them to succeed. Things like persistence, initiative, social skills, common sense, a full belly, or a good night’s sleep. However, none of these things are considered in our definition of “student achievement”. None of these things are considered in our policies. All the talk about failing schools and failing teachers and how to improve teachers and improve schools NEEDS to be changed to failing students and how to improve students. How can we help them be better students? How can we help them be better people? How can we help them with these Non Cognitive factors like integrity and work ethic? How can we feed them? Give them a place to sleep? It's the public narrative that needs to be shifted. We have to discuss what is happening with our students, even the honors students. Because right now we are simply creating a massive population of future citizens who are afraid to attempt anything challenging, unable to read or think critically, or unable to find ways to earn a meaningful income, and I’ll get to that in a minute. Right now, our system pushes ALL students to study abstract classes in order to be “college ready”. We throw around buzzwords like “rigor” and “STEM”. It sounds good, right? The reality is that the word “rigor” has completely replaced the word “relevant”. I met with our district and pitched an idea to bring back Home Economics, but this time as a math credit. First words in the response: “it’s not rigorous”. So, forget relevance. Forget teaching students about measurements, about taxes and discounts, about loans, about debt, event planning, or the reality of fractions. It’s not as rigorous as Factoring Trinomials and Graphing Logarithms, so it can’t fit. There’s no room for it in our Toxic Culture of Education. There’s also no room for the arts and for imagination, which are being systematically removed from schools. There is no profit in that, either. We have felt the effects of our education policies. There are thousands of highly skilled jobs that are currently vacant. There is opportunity for small business development and innovation like never before. And we are relying on high skilled immigrants. But where are our graduates? There is an ENORMOUS opportunity in our economy for our students, but we just don’t enable it in our schools because we are focusing on “college ready” and “rigor”. If we focus our attention on getting students the resources they need in order to find their place in the economy, THOSE students, would value education more highly, use their time more wisely, and make better decisions outside of school. Let’s keep the college bound students going to college. They need to continue their path, but we need them to be more successful and more innovative. But what about THOSE students? I have students that want to be tattoo artists, mechanics, barbers. They want work, some want to open their own businesses. But..they are THOSE students. They consistently fail classes and get themselves in trouble in school, and may not graduate. So I say: let’s scrap Algebra for them and teach them some tangible skills (like we did in the system before it was labeled as a “failure”). Let’s get them out there making a living for themselves, rather than spending another $10,000 in tax money to pay for another year of school for them to learn how to factor trinomials, which they won’t. Why Not get them into the economy? How do we address this on a large scale? I believe in Horace Mann’s 1850's vision of an education system that can improve mankind. In public education, we have an amazing opportunity to mold a better future. What we are currently doing is so toxic that I have 2 solutions that would be better. I’m not a fan of this idea, but it would be better than what is happening now: we could completely defund public education and put the 750 billion dollars back in our pockets. No more taxpayer money going to private companies in the name of public education and on the heads of our students. Because let me tell you, it isn't reaching our classrooms and students and it's certainly not reaching the teachers. The second plan which I am in support of, is to double down on public education. Eliminate the toxic policies, eliminate the corruption in profit flow. Get the money more directly to the students. Allow them to be successful, focus on them, on their non cognitive factors, on their abilities. Train and allow the teachers to work with their students and assess their students on what they truly need to know: thinking, reasoning, and learning. I believe in the potential greatness of a public education system DONE RIGHT. In fact, most of my colleagues do as well. Speaking of my colleagues…what about all the talk about teachers? The public narrative, thanks to "education reformers" like Michelle Rhee and Bill Gates, paints a picture that our schools are teeming with horrible teachers. Most teachers are accomplishing amazing feats of human achievement and motivation with their students. What teachers are able to accomplish is being done in a “professional” environment of questioning, belittling, and self doubt due to “accountability” measures for ALL teachers because "teachers can't be fired". If you want to compare education to business, check out HR and employee relations. Companies empower employees, encourage employee growth, believe in employee morale, reward employee success. Yet in our toxic culture, we call a teacher “successful” IF AND ONLY IF students can score well on a 4 hour computer based test. We evaluate teachers based on what is written on their boards or hung up on their walls, or spotted by an administrator with an iPad in a 3 minute time period. We blame teachers for students who are hungry, homeless, without guidance, or without character. And I don’t even need to mention teacher pay. You cannot measure how successful a teacher truly is in the life of a student! How do you measure when a teacher acts as mental health counselor for a student that has suffered a family loss? How do you measure when a student is able to eat dinner only because a teacher is paying for it? How do you measure a student learning something new based on immediate feedback from an assignment because the teacher stayed up until midnight the night before grading papers? How do you measure when a teacher spends thousands of dollars of their own money to have supplies in their classrooms? And we blame the teachers for accountability policies they had no place in creating. Why not develop a system that invests in the teachers’ relationship with the students? Why not invest directly in the students? Why not encourage teachers to create their own assessment systems to fit their students’ needs? Why not allow them to collaborate with one another or at least have a peer review system to better serve their students (like in other professions)? Why not involve them in the policy making decisions at the school level, the district level, the state level, the national level? The truth of education policy is that it is written and enforced by people who have either spent little or no time in the classroom with the students these very policies are affecting. Why not allow the individuals in direct contact with students to mold and shape the environment of the students? Education is the only industry that is developing a product without any valid market research from its users! Students aren’t asked what they want or need. Teachers aren’t asked what would work for their students. Teachers are not the enemy: it’s the private companies like Pearson and interest groups like ALEC, that write policies and laws that are passed over steak dinners with words like “accountability” and “rigor” to perpetuate their bottom lines on the heads of our students. Follow the money: of all the tax dollars that go into education, how much goes directly to students? How much goes directly to a teacher’s relationship with students (which by the way are another leading indicator of student success)? Compare that to how much goes to private companies for materials and resources, as well as bureaucracy? Just follow the money. So, we must change the public narrative on education. We must fight our Toxic Culture! We must end high stakes testing for the sake of “accountability”. Let’s have education policy that builds up our students with sensible human standards instead of fitting them into robotic boxes for “college readiness”. Let’s focus on getting students out there in the evolving global economy. Let’s focus on teaching them the important things: how to read, how to think, how to research, how to reason, how to master basic skills, and how to be good citizens. Let's talk about the Non Cognitive factors that are the true measures of student achievement: persistence, integrity, character. Let’s teach them how to learn and how to innovate, not how to take tests. We must change the focus of our Toxic Culture away from curriculum, teachers, and schools, and WE MUST focus on our students! Let’s stop measuring fish on how they climb trees.